Adam is skilled and professional. Highly recommended. I’ll be back soon. Very relaxing experience! Adam adapted the session to focus on particular muscles that needed work. The heated bed and general atmosphere of the room are very relaxing and make it easy to disconnect from whatever is stressing you out in daily life. Adam was awesome and very friendly! He used the perfect amount of pressure and I felt completely refreshed by the end. Definitely one of the best massages I’ve had! Adam is terrific. Intuitive and very present to his clients needs. A very comfortable and spotlessly clean studio. Convenient location with lots of free parking. I feel terrific and recommend him highly. Adam is fantastic! He has such deep knowledge of anatomy, he found places deep within my muscles I didn’t even know were in need of attention. Highly recommend. Amazing!! I absolutely loved Adam. he targeted my problem area and I haven’t felt this good in weeks! Adam was great! You can tell he genuinely cares for the well-being of his guests and loves what he does. Look forward to seeing him again soon! I loved this Nift! I had a knot in my back that I was dying to get worked on, and this was the perfect opportunity. 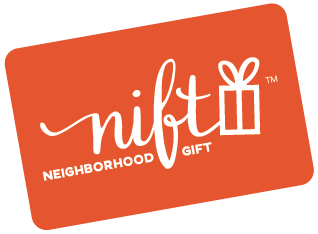 Usually massages are not in my budget, but this Nift allowed me to experience one! Adam was great as well. Adam provided a great service in a professional manner. Wonderful back massage, best I’ve ever had. Adam was very kind patient and skilled. Will be going back. Adam was very strategic and effective in getting right to the ailing muscles and relieving them. I have several massages a year and his technique and calm nature were pleasant and effective. It was more expensive than I usually pay for massages but he was clearly experienced and I expect to be back at least a few times to address some particularly bad knots. Adam was great, one of the best massages I've had! This was the best massage I've ever had. I've never had such attention paid to exactly what I needed. I feel like my shoulders dropped a whole inch with stress relief. So great! Definitely going back!! Fantastic massage from an adept and friendly massage therapist! I would definitely return!! Adam was amazing. Helped relieve a lot of the chronic lower back and neck pain I’ve been having. Best massage I’ve had and he’s local! I will definitely be going back in the future for another! Adam is super friendly and knowledgeable! I was skeptical about working with a male massage therapist but he really respects your comfort and is very professional. It was a nice space and I felt great afterwards, would recommend. Adam was excellent. Soothing presence, great massage, really nice guy. Highly recommend!